Rice Digital-exclusive special edition available for pre-order. 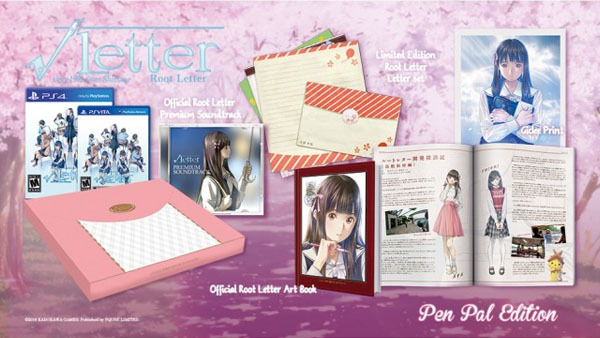 Rice Digital has announced an exclusive “Pen Pal Edition” of the upcoming Kadokawa Games-developed visual novel Root Letter. It will be available at $89.99 / €79.99 / £69.99 for PlayStation 4 (U.S., Europe) and at $79.99 / €69.99 / £59.99 for PS Vita (U.S., Europe). Root Letter is due out in North America and Europe in 2016.